Follow these instructions to get your development environment up and running. See this page for development conventions, such as style and standard headers. IAM uses the J2SE-15 Execution Environment for its JRE Library references, launchers, and testing. Go check your Execution environment. 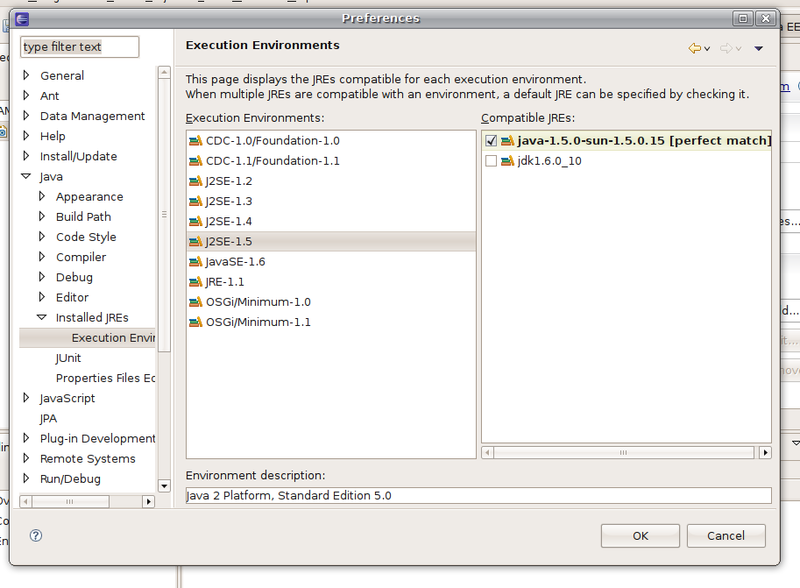 Window > Preferences > Java > Installed JREs > Execution Environment > J2SE-1.5 and ensure that there is a compatible JRE present. A "Perfect Match" would be better. At this point your code might contain compiler errors. These are caused by the embedder jars not being in the build path (the embedder feature was downloaded when setting up your target platform. To fix the problems go to the Plugins view (Ctrl+3 Plugins or go to the Plug-in Development Perspective). Find the 'org.apache.maven.embedder plug-in and import it as binary project with linked content. This page was last modified 13:46, 11 March 2009 by Carlos Sanchez. Based on work by Abel ui and Joakim Erdfelt.